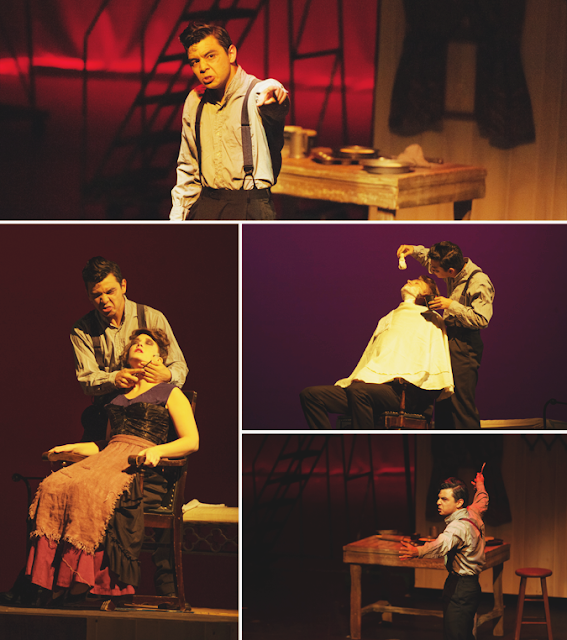 There was a barber and his wife... and she was beautiful... So begins the tale of Sweeney Todd: The Demon Barber of Fleet Street. Now, I know Sondheim is a genius but sometimes I wonder just HOW he comes up with these things? Well, how does he decide that things like these will turn into brilliant musicals? That is the true question. 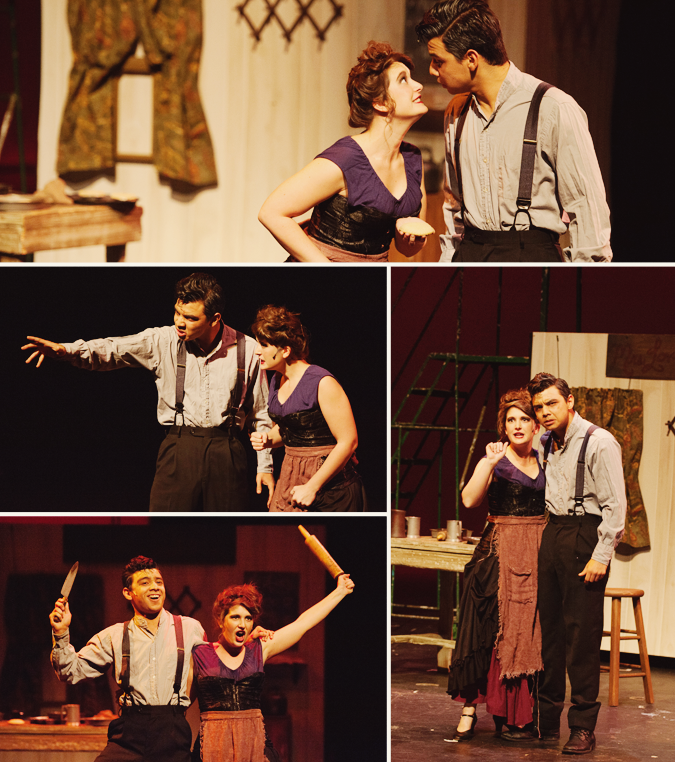 My first introduction to Sweeney Todd was in high school. My best friend suggested we watch it on Halloween (it was haunting enough) since we had decided to stay in. Tim Burton had moulded Johnny Depp and Helena Bonham Carter into the perfect Sweeney Todd and Mrs. Lovett and I was enraptured by the show. Fast-forward a few years and I am in London during the study abroad trip, brain storming musical scene options with my professors and friends while standing in line at Leicester Square to buy tickets to see Ghost. Most of the group had opted for Sweeney Todd but I chose another. That is when the wheels began to turn. In the Advanced Directing course, our second assignment was to choose a 30 minute section of a musical and direct it in a four week rehearsal period. My other option was Bonnie & Clyde but I tossed it out the window when we couldn't get our hands on the script and score. 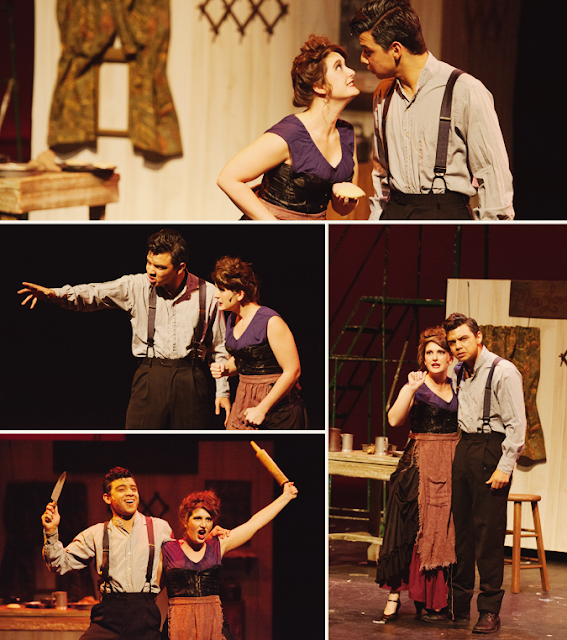 And so, Sweeney Todd it was! The music was challenging, the budget was non-existent, my actors were phenomenal, and the stage was huge. But I chose, I directed, and I think I conquered! This show/scene was one of the most incredible experiences I have had when it comes to musical theatre. I am not a singer and I typically dance in the chorus, but this piece stretched me to a whole new level. It was storytelling and understanding, taking a dark character and circumstance and diving into it with seven actors ready for the challenge. They did such a wonderful job and I have a slew of amazing memories from this project. 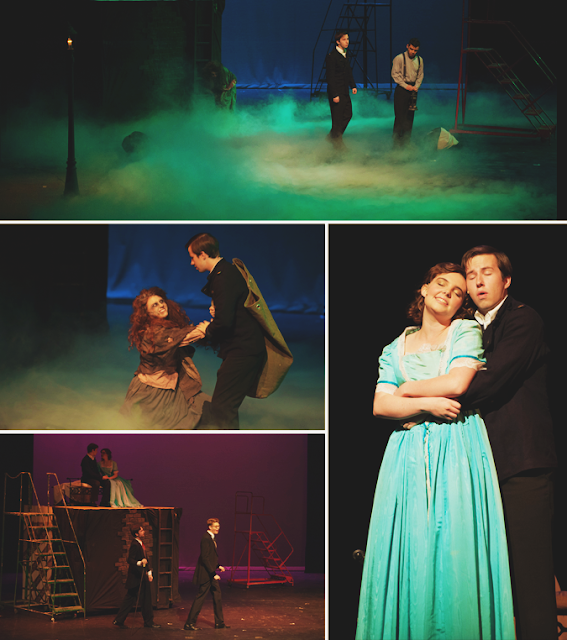 Below are just a few glimpses into our show. All photo credit goes to the incredible Jared Tseng (check out his beautiful photography here). Enjoy!